This must be one of the biggest rejections in recent months. 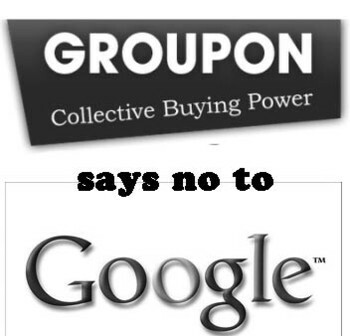 Voucher site Groupon turned down an offer from Google for $6billion, it has just emerged, and in the world of tech business, that’s a bit like Kate Middleton saying no to Prince William. Is Groupon really doing that well that they can turn down an offer from the richest tech company going? It’s unlikely anyone else is going to come up with a better one so looks like they’re planning to go it alone. Online coupons are a big deal – see our analysis of Foursquare’s problems here for a look at why failing to cut great deals with retailers cost them dear. Still – are they really that much of a big deal? Are enough people going to keep buying one-off spa treatments for the girls that this can be a sustainable model? Shiny Poll: Online Vouchers – best thing since sliced bread? or a lot of hype and not much discount?